In posting our friend Mr. Sharkoctopus has finally gotten Kitty Plur, right where he wants her (so he thinks and then things change. In this posting the Happy Employee dude man decides to go along with the flow and give his opinion which is outside of the box about Company Policy. EEEEEEEEnnn. Wrong. Somebody done told him wrong. LOL. Well enjoy. Don’t Drink the Cool-aid comic strip created by Jamaal R. James for James Creative Arts And Entertainment Company. 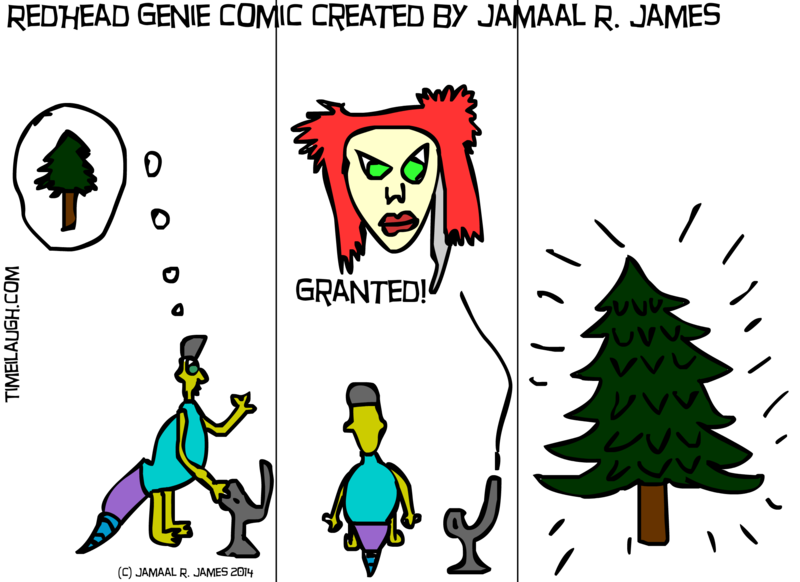 In this episode, an ardvogator wishes to become a Christmas Tree, and is turned into one. Yay for the ardvogator. well done. It looks like his wish is granted. Enjoy. Happy Holidays, only 5 more days until the big day. In this episode of Save Her Man Comic. Saverman decides to change his saving habit and pattern. He didn’t let the girl drown but he’s done saving. 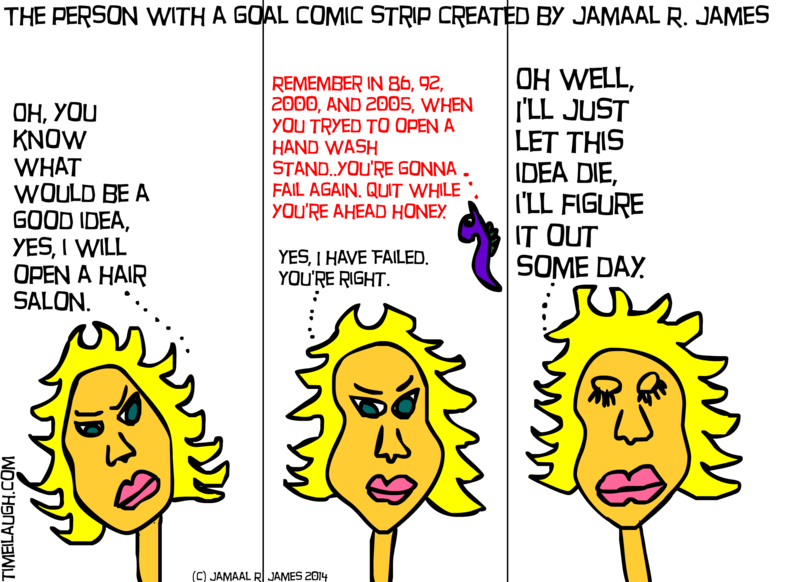 Save Her Man Comic Strip was created by Jamaal R. James for James Creative Arts And Entertainment Company. In this posting the person with a goal is talked out of doing it by a seahorse. This is a reminder to do things that we feel in spite of logic or reason might say. 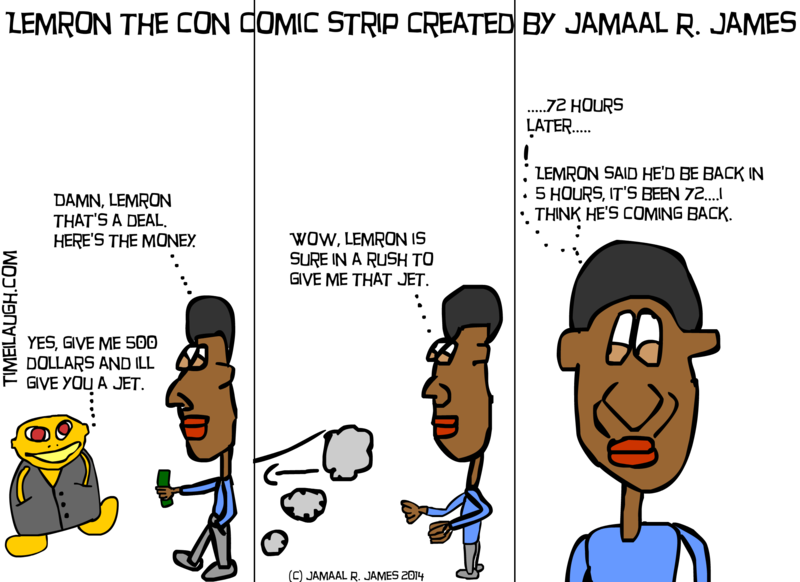 The Person with a goal comic strip was created by Jamaal R. James for James Creative Arts And Entertainment Company. 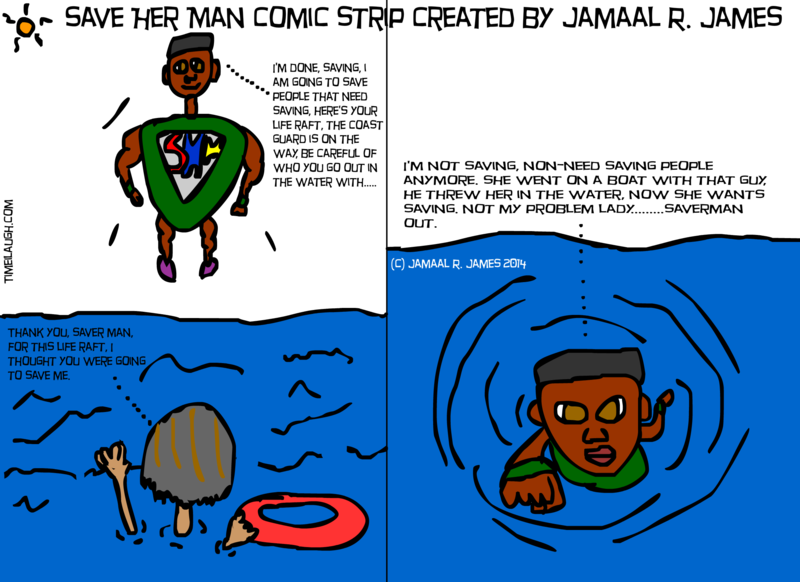 The Person With a Goal Comic Strip created by Jamaal R. James for James Creative Arts And Entertainment Company. In this episode of Lemron The Con Comic Strip, Lemron convinces Vic Thomas that he will give him a jet for $500.00 dollars. So Vic gives Lemron the money only to see Lemron complete a disappearing act. 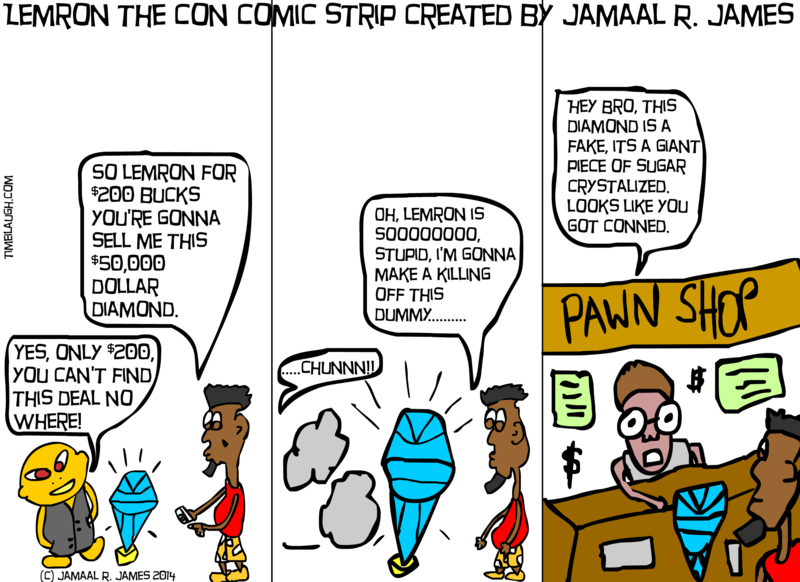 Lemron The Con Comic Strip was created by Jamaal R. James for James Creative Arts And Entertainment Company. Lemron The Con created by Jamaal R. James for James Creative Arts And Entertainment Company. In this posting of the comic strip, Lemron The Con, Lemron dupes another person into buying a rare blue diamond worth $50,000 for only $200.00 dollars. Lemron The Con Comic Strip was created by Jamaal R. James for James Creative Arts And Entertainment Company. Lemron The Con created by Jamaal R. James on timeilaugh.com for James Creative Arts And Entertainment Company.